This solar powered battery trickle charger provides up to 6 Watts – Maximum 400mA power from the sun’s energy and delivers a small current to your rechargeable 12 volt batteries and will help maintain and prevent dead batteries. Equipped with a amorphous solar panel that will provide a charge even on cloudy days. 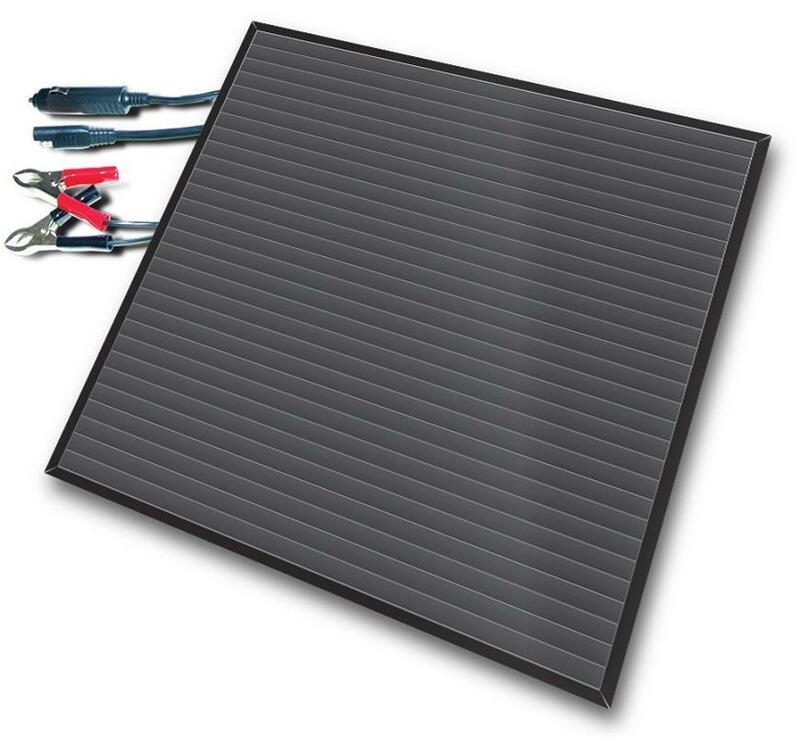 The solar panel is equipped with heavy duty aluminum frame for strong weather resistance. Includes built-in blocking diode to prevent reverse flow of electricity. Simple to install and easy to use, just place the portable solar panel in an area that will receive sunlight, then attach to your battery with the included battery clamp or a 12-volt car plug. Great for use with cars, boats, tractors, RVs, motorized sports vehicles, deer feeders, farm equipment, water pumps and all 12 volt rechargeable batteries. A great alternative to traditional battery chargers since no AC power is required.